One of my favourite new columns in Martha Stewart Living is the "Doctor/Patient" column by Dr. Brent Ridge, who is Executive Vice President of Healthy Living at the company and hosts the radio show "Ask Dr. Brent" on Martha Stewart Living Radio on Sirius Satellite. He also helped Martha create the Center for Living at Mount Sinai Medical Center in Manhattan, a new facility for the management of chronic health conditions and for the promotion of healthy aging. It turns out that Dr. Ridge is a man of many talents! He and his partner, author Josh Kilmer-Purcell, have a farm in the Hudson Valley in upstate New York where they devote time to what they call a "shared experiment in seasonal living." 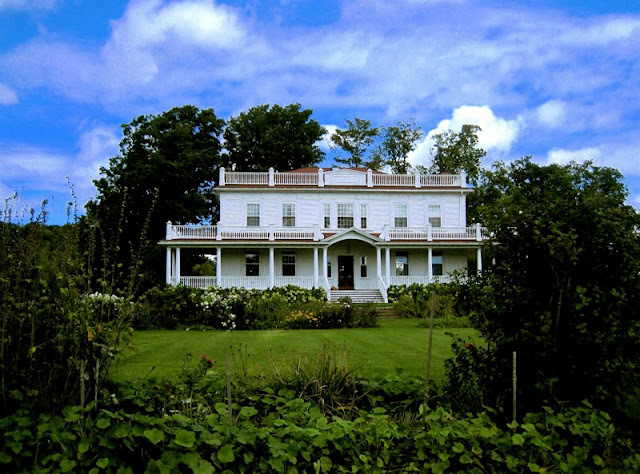 The farm features a large mansion that was built in 1802 (once owned by a judge) that was fully restored by its previous owner. It is now home to an heirloom vegetable garden and and organic soap-making operation run by Brent and Josh and several busy helpers. I was touched by the idea of the project after seeing Dr. Ridge on "Martha" and decided to support his venture. I do agree that we've gotten out of synch with nature, with the rhythms of natural life and the beauty of subtle cyclical changes that take place all around us. We're so harried and busy now - preoccupied by technology and speed. I decided to order some of his organic goats-milk soap and was very glad that I did. The two bars of soap arrived in a beautiful cloth bag, stamped with a lovely logo. They were individually wrapped and tied with twine. And they are lovely soaps: smooth, buttery and lightly scented. The soap is also accompanied by a little card with the name of the one who made your particular batch of soap. In my case, it was Brent. I love those personal touches! This is what my order looked like. 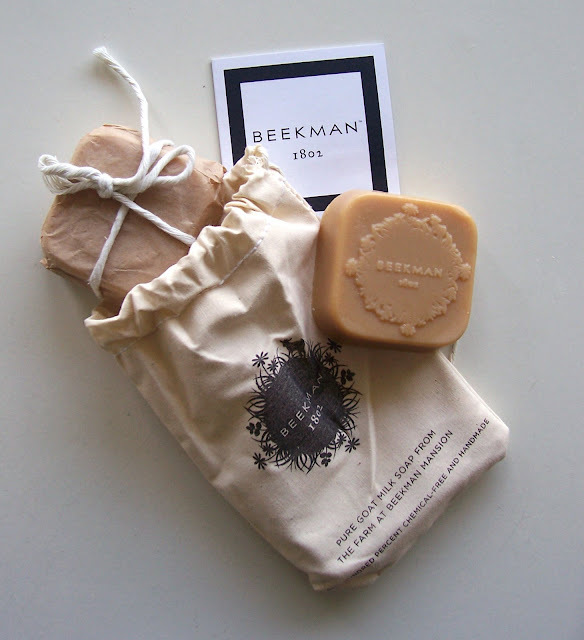 You can also buy a larger batch of soap in a sturdy wooden box or chemical free bug repellant soap. Next on my list - some beautiful hand woven linens made on their farm. Thank you so much for visiting our site and supporting our seasonal living project...and for blogging about it. You have a beautiful blog. I'll have to make certain that Martha knows about it. Brent, it was my pleasure. The soap is lovely! I'm so glad you stopped by! Come back again; there's lots more to come.